California&apos;s plan to reshape the electricity grid is taking a big step forward as solar inverter makers, like Ginlong Technologies, adopt UL1741SA. 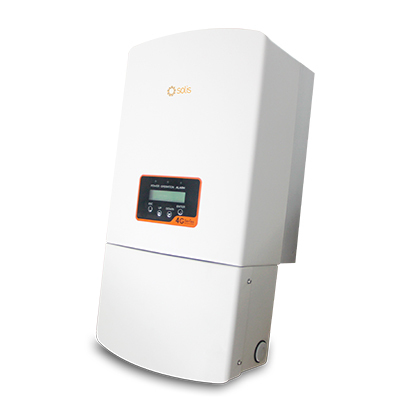 The plan hinges on smart inverters, with the UL 1741SA standard being the first concrete step. Previous inverters would, if grid conditions go wonky, disconnect from the grid. Power systems engineers thinking about the problem recognized that inverters could help prop up the grid, to remedy certain wonky grid conditions. The increasing rate of installing solar inverters gave California an opportunity to field a different kind of solar inverter. California Rule 21 governs the methods of interconnecting solar power systems to the electricity grid. Over the last 3-4 years, the Smart Inverter Working Group convened by the California Public Utilities Commission worked on redesigning solar inverters to provide grid support functions. The content of UL1741SA, which was ratified in September 2016, is the first concrete result and describes the sort of grid support functions required of solar inverters. UL1741SA contains what is called the "Rule 21 Phase 1 autonomous functions", meaning these functions automatically kick in whenever the electricity grid frequency, voltage, power factor and similar measures are out of line with grid stability requirements. If the grid strays beyond certain parameters, the inverter will still disconnect itself from the grid, but so long as the grid stays within those parameters the inverter will assist with keeping the grid stable. This may seem like a small thing, but it is the first step of a cooperatively managed electricity grid. Over time Rule 21 Phases 2 and 3 will be standardized and be required features of future inverters. Those phases add communications ability so that smart inverters can be proactively managed from a central cloud-based service. It&apos;s thought that over time the electricity grid will morph from a system of large centralized electricity generation resources, to a distributed set of electrical grid resources of many types and sizes. A distributed management system will orchestrate electricity inflows and outflows to balance electricity demand throughout the day, and also take care of the intermittency issue. Ginlong Technologies “Ginlong”, the global market leader of PV string inverters, announced that the complete product line of Ginlong Solis (NA) Single-Phase 4G PV string inverters have been tested and certified for compliance to the new UL 1741 SA Standard as described in the California Public Utility Commission (CPUC) Rule 21. Ginlong Solis (NA) single-phase 4G PV string inverters, ranging from 2.5 kW to 10 kW, can be purchased today with the UL 1741 SA Certification. These inverters meet Rule 21 requirements for installations starting in September 2017. See the entire list of qualified inverters at www.gosolarcalifornia.org. Go to, Equipment / Inverters, and click on the list. Each Ginlong Solis (NA) single-phase 4G PV string inverter will be labeled “Grid Support Utility Interactive Inverter” (per Rule 21 guidance) and will introduce new smart inverter features to PV system owners, as well as demonstrate new grid-interactive functionalities that will better enable utilities to integrate more distributed generators (DG) into their transmission and distribution systems. This is a very exciting time for the solar energy industry as we see more solar DG’s contributing larger and larger percentages of the country’s electricity demand.